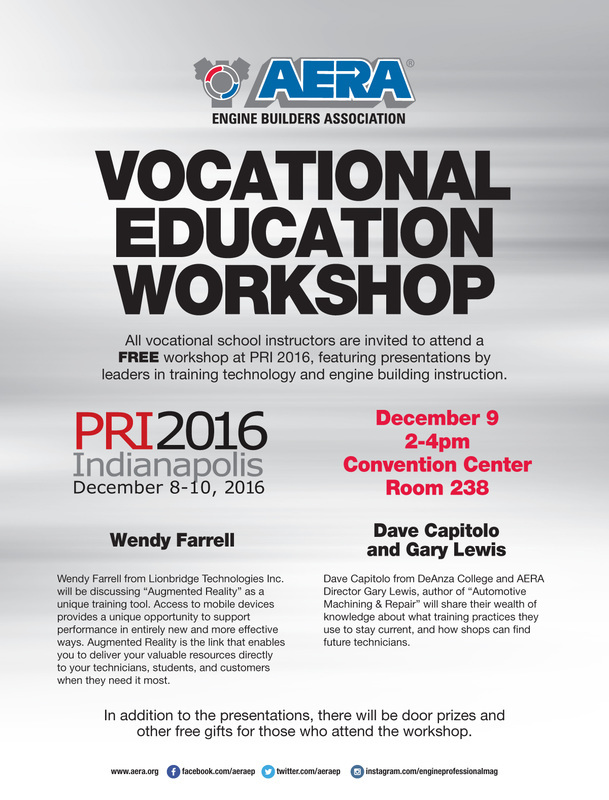 AERA would like to invite all vocational school instructors to attend a special FREE Vocational Education Workshop on Friday, December 9, 2016 at 2:00pm in room 238 in the Convention Center. Our first presentation will be from Lionbridge Technologies Inc. who will inform us on "Augmented Reality" as a unique training tool. ​The second half of the workshop will include instructor Dave Capitolo from DeAnza College and AERA Director Gary Lewis (retired instructor) discussing training practices they use to stay current.